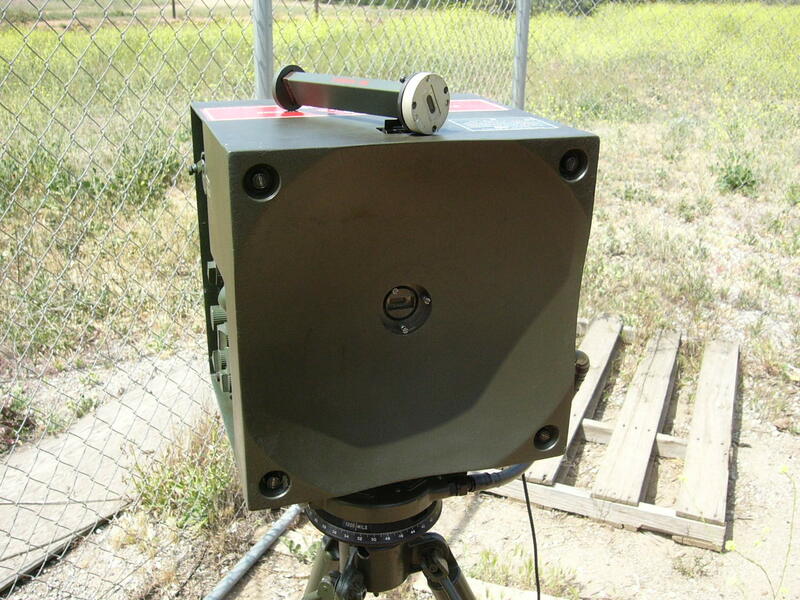 A 315m or 600m range depth is scanned in an azimuth range of 600, 900 or 1200 mils. 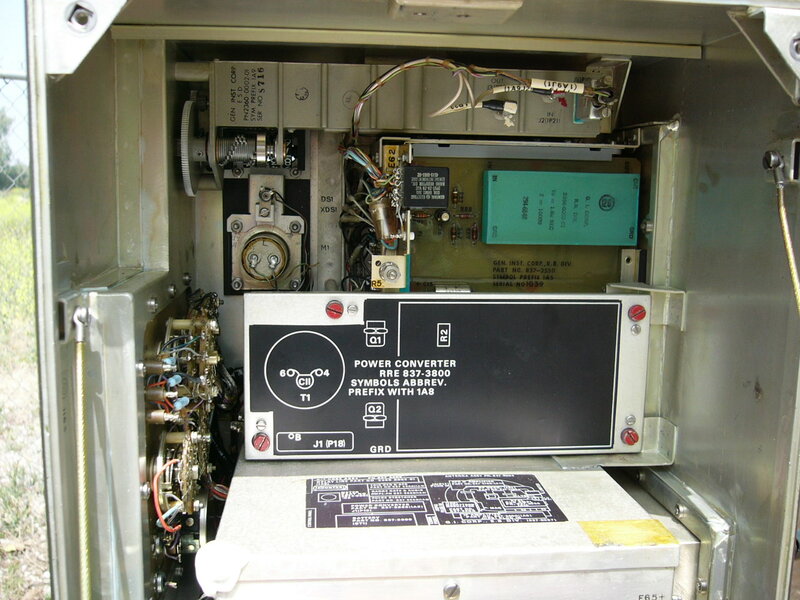 This picture above shows the wave guide connector. The wave guide itself is probably some common size, but the flange is a twist-lock fitting which is probably custom. 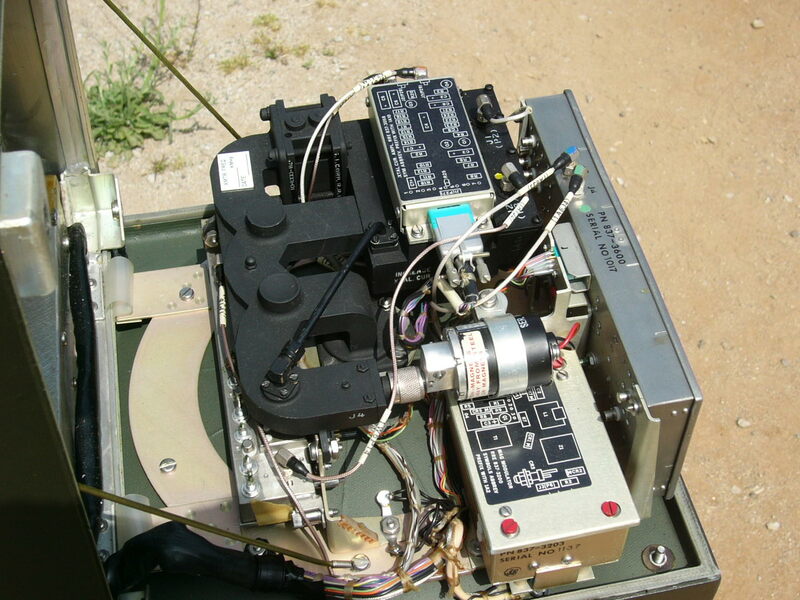 The test adapter I’m looking for is intended to fit into the waveguide output at the center of the dish, in place of the normal feedhorn which is sitting on top of the unit in that picture. 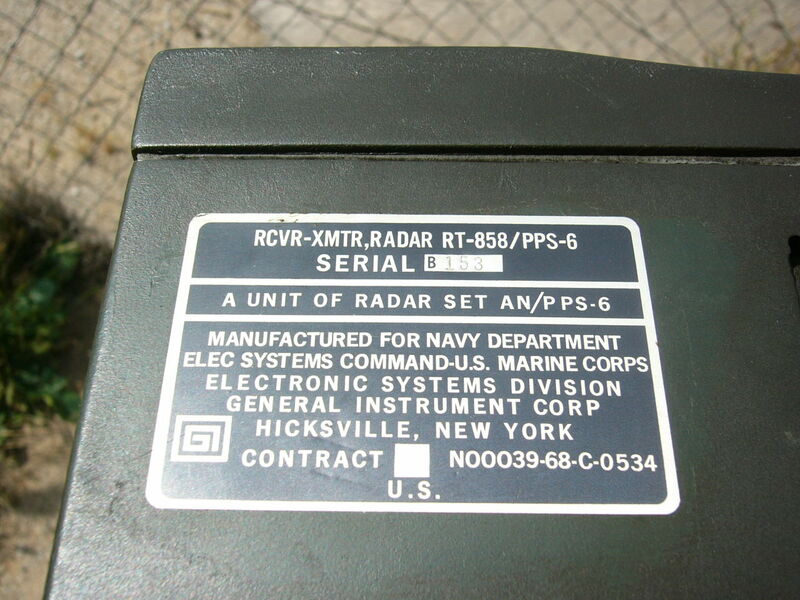 If and when I ever get around to playing with this radar again, I may just need to fabricate an adapter. Just found this web page. Brings back memories. 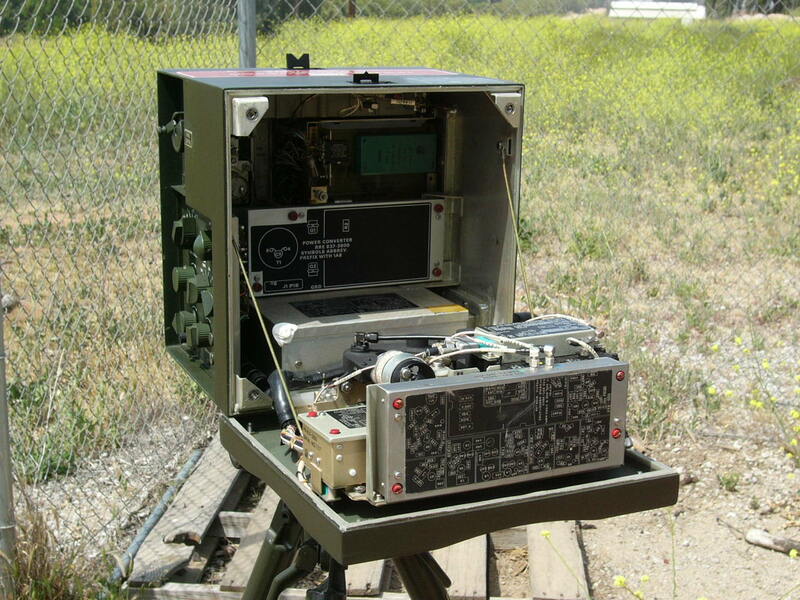 In 1969-1970 I repaired dozens of “Pippsy Sixes” when I was at 3rd FSR, Camp Foster, Okinawa. While I don’t have one, the test coupler your looking for is a closed waveguide section with a matching twist lock on one end, and an N connector with 1/4 wave stub inside the waveguide at the other. 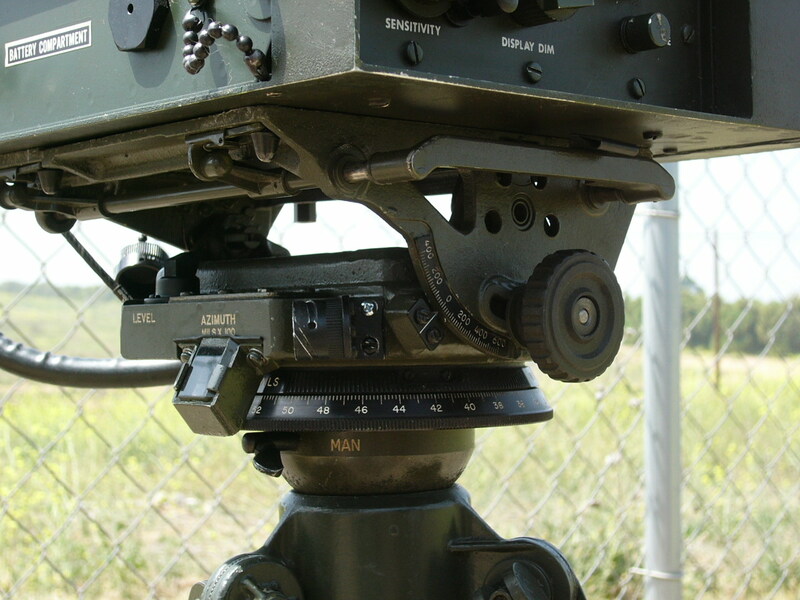 The N is mounted on the waveguide width, 90 degrees to the wide side. 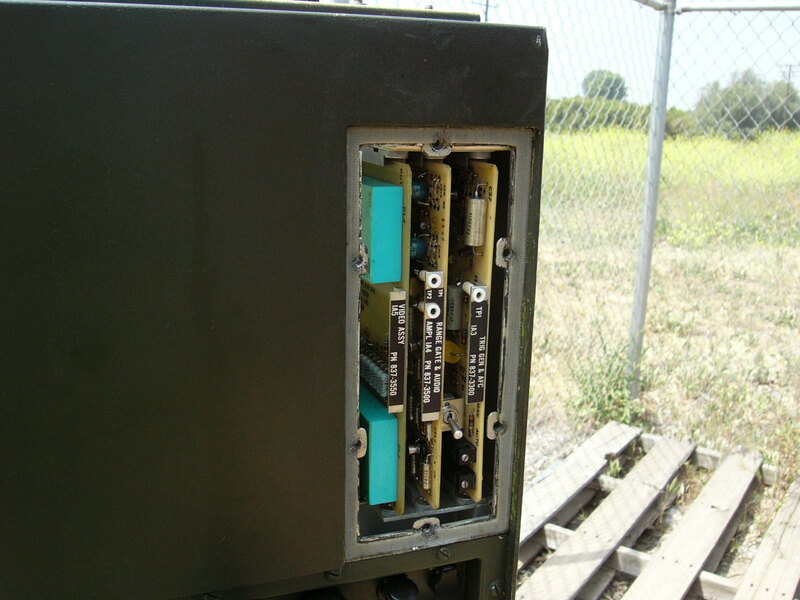 As I recall, the coupler is about 4-5 inches long. 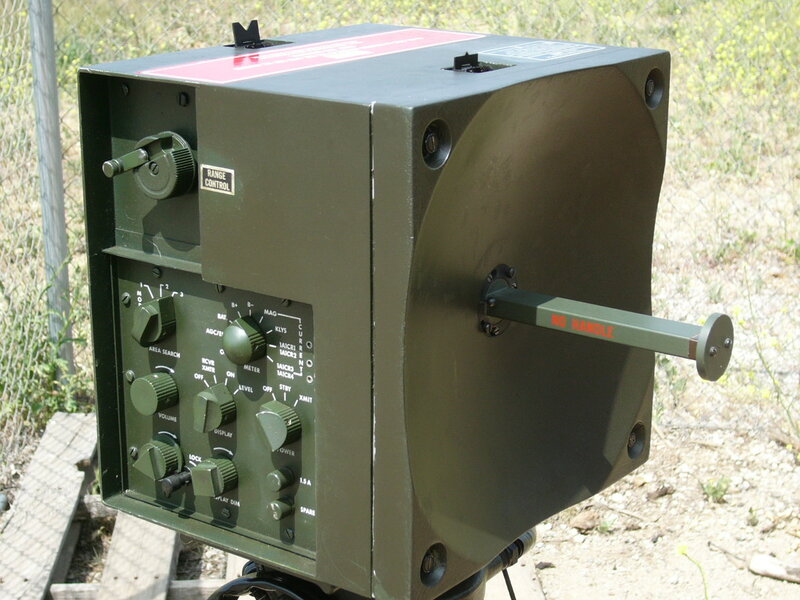 I used an X band radar test set, TS-147, for transmitter and receiver test and adjustment. Years ago I bought a TS-147 at a swap meet for a few bucks. It worked then and probably still does. If the mixer attenuator ever quits due to loss of the silver plating on the movable quartz plate, let me know. There is a cheap way I used to fix the missing silver that worked just fine. Anyway thanks for the memories. 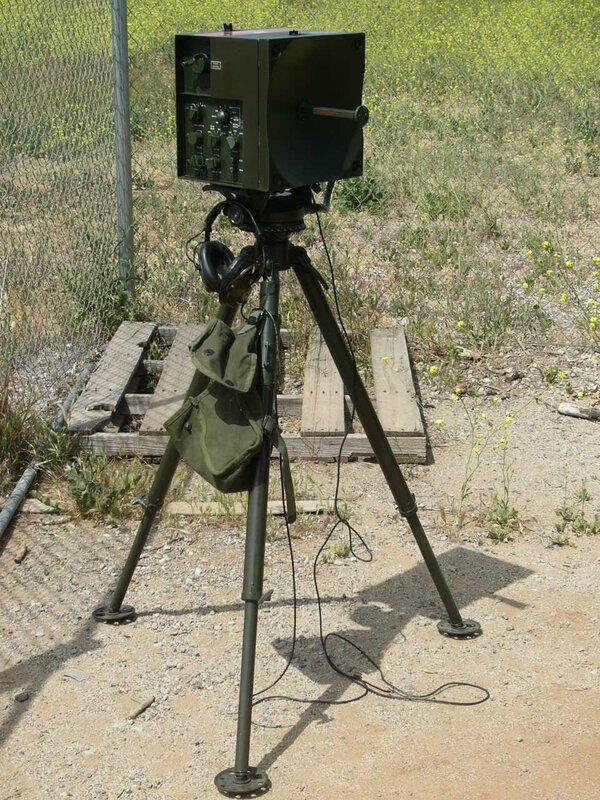 In 1953 the US Army had a portable ground surveillance or battlefield radar tested in Korea. 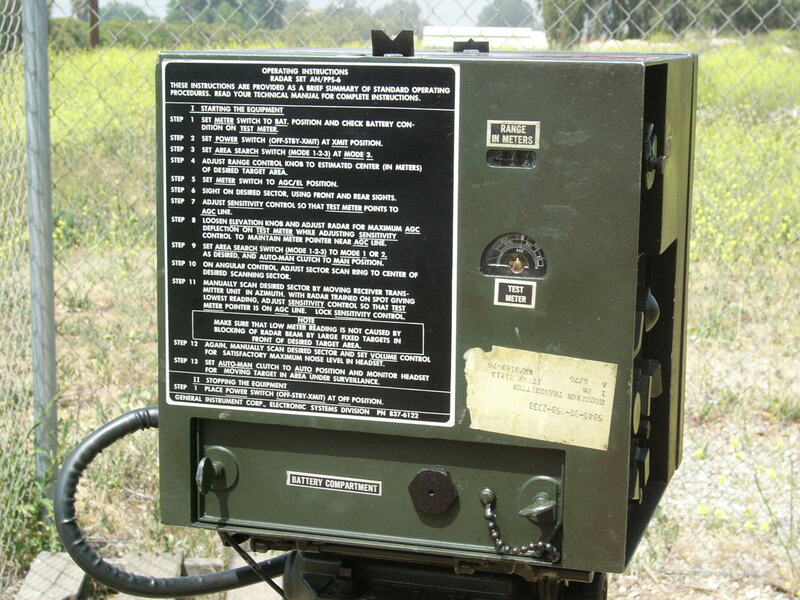 They were tested in an ROK sector and almost lost due to combat. 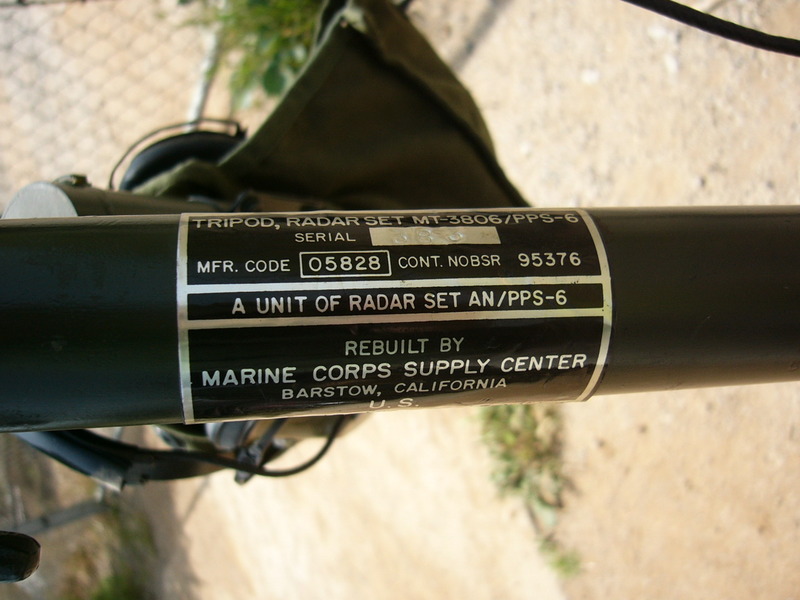 My guess it was an early version of the AN/PPS3,4,5 family line of radars. 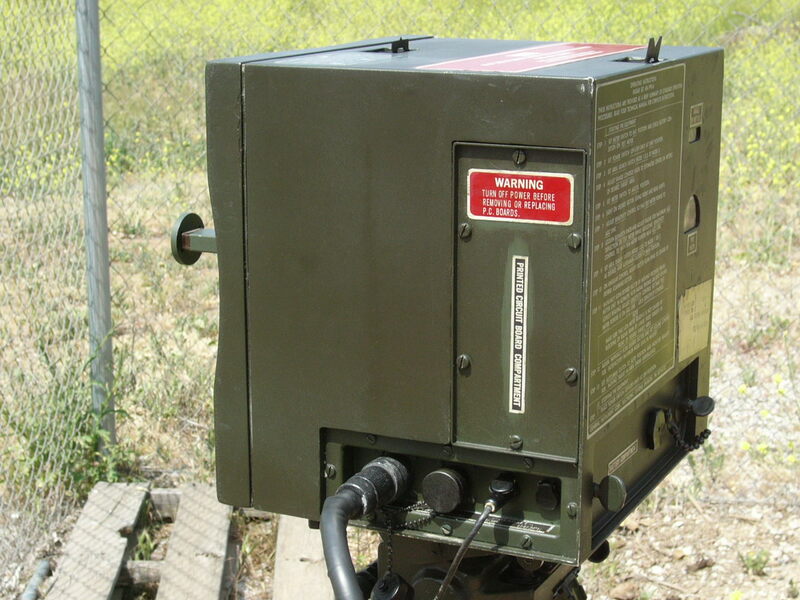 Any idea what this radar unit was called or designated? Or a picture? I have no idea. This is the first I have heard of them. Thank you for sharing!